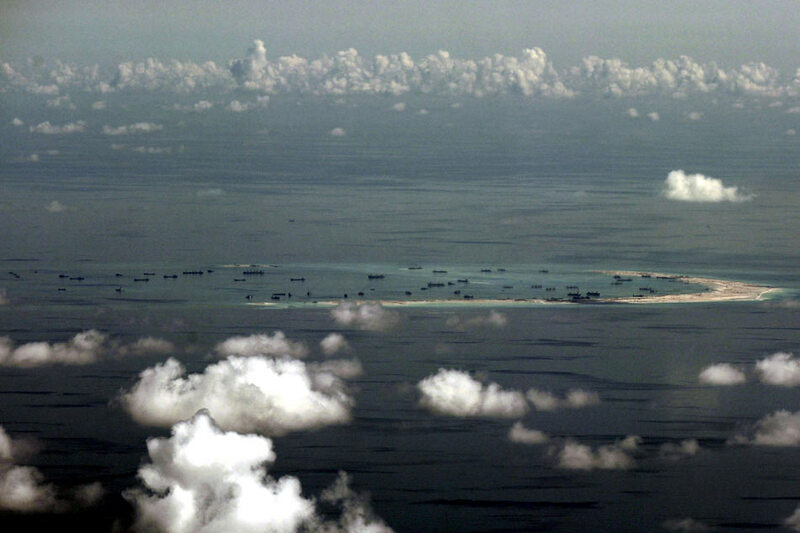 TAIPEI - China has secured the central leadership role in the South China Sea and other players cannot match its military supremacy in the region, according to an internal magazine of the People's Liberation Army (PLA) obtained by Kyodo News. Amid staunch denials by China that it is militarizing the South China Sea, the article amounts to a rare admission by its military of its true intentions in the region. Specifically, it sheds light on the policy of boosting the military influence in the area under the cloak of "civilian activities" such as private aviation. The article was authored by officers of the PLA Navy's South Sea Fleet, whose mission is to maintain and secure China's presence in the South China Sea. The experts said that China's massive land reclamation projects have helped it to acquire the PLA's strategic advantage in military security in the South China Sea to a certain extent. "Intimidated by the projects, related claimants and neighboring countries are unlikely to provoke any military conflict or escalate it into a war because they are too poorly prepared," it said. China has overlapping territorial claims in the strategically significant waterway with the Philippines, Vietnam and other smaller neighbors. The report said a military crisis in the South China Sea is "highly likely," but the likelihood that it will flare up into an all-out military conflict or war is small. With regard to military confrontation with the U.S. military, the report said that while Washington is likely to maintain its seemingly neutral stance on the sovereignty issue of the region, it "lacks both the ability and will to engage in a military conflict or go to war with us." While China must make efforts to prevent any military crisis, it must also take advantage of a crisis to counter an attack launched by the enemy and exhaust all necessary means to "hit the enemy where it hurts" and "teach it a lesson." To maintain its dominance in the region, the report proposed two approaches. First is to draw a clear line in the sand with regard to managing a military crisis. Possible means include preventing neighboring countries from occupying more land features, warding off other countries from disrupting its regular activities on the sea such as fishing or development of oil and gas. Second is to brace for an "endurance warfare" to secure strategic advantages with patience and long-term planning. Over time, the balance of power has tilted toward China, it said. The military should "fight behind a civilian front and refrain from firing the first shot, but it should also prepare to fight endurance warfare" to safeguard sovereignty, security and national interests. It cited as a successful example of "skillfully taking advantage of a crisis" its normalizing of patrols around the Japanese-administered Senkaku Islands in the East China Sea immediately after the Japanese government put the islands under state control in 2012. An international tribunal in The Hague ruled in favor of the Philippines in July last year, rejecting China's so-called nine-dash line claim over almost the entire sea as having no legal basis. Beijing has rejected the ruling and considers it non-binding.